The problems with McDonalds parking fines seem to be gettting worse. We received this email from a distraught reader, who is battling with a parking fine from Care Parking when, as a legitimate McDonalds customer, she inadvertently over stayed her time in the car park. Lisa B is a wheel chair user who takes longer to do the things others take for granted, which partly explains how she over stayed the parking limit. She was also unaware of the parking restrictions in force and the consequences of contravening them. I have received a parking fine from Care Parking whilst visiting MacDonalds Charon Way St. Helens on Good Friday. I am a disabled customer who visits with my children roughly every couple of months and I have never seen the 2 hour parking limit. I was told the car park has nothing to do with them and wouldn’t even try to get it revoked for me. I have never heard of this Care Parking before and can’t find an email address to appeal. I phoned the McDonalds restaurant in Charon Way, St Helens and spoke to an Assistant Manager. 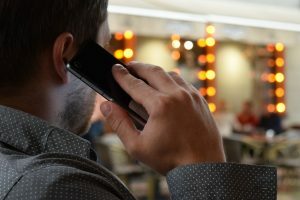 She was very helpful and referred my enquiry to the Business Manager, who was in a meeting but I was promised that she would return my call later that day. As promised, the Business Manager did phone me that afternoon. She went to great lengths to explain that their restaurant is on land leased to them by their landlord, who also owns the car parking surrounding the restaurant, which is for use by the restaurant patrons. The landlord has outsourced the parking to Care Parking who enforce the regulations. Whoever Lisa B spoke to at the McDonalds restaurant, is correct. This McDonald’s restaurant in Charons Way, St Helens has no control over the parking restrictions or enforcement. There really is nothing that they can do. 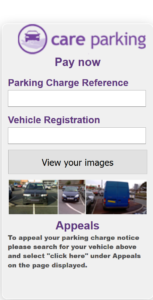 If you visit the Care Parking website you are met by rotating images, one of which proclaims that they offer an “Innovative, fair approach to disabled drivers” – see this screenshot. This sounded very promising, given Lisa’s circumstances. The lady I spoke to in their parking department was patient and courteous, but, quite rightly, could not offer me any direct help on this case as I am not the person who has been served the parking charge notice. There is also a form on their website in which you can enter your registration number and the parking charge reference number that has been sent to you, and begin your appeal from there. 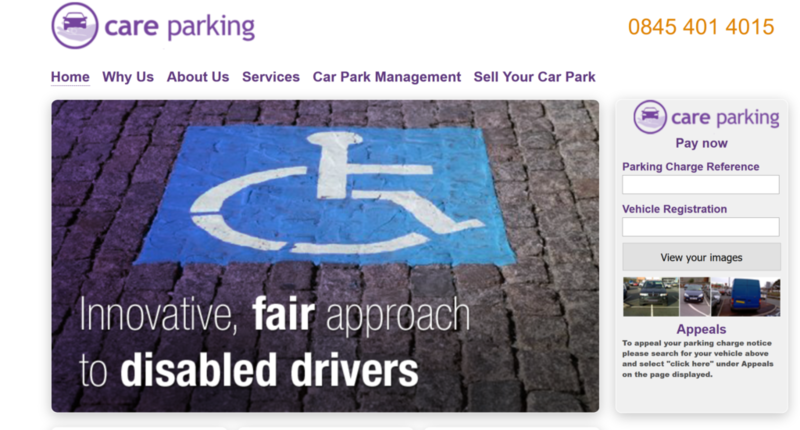 It will be very interesting to see if Care Parking do live up to their name and meet their promise of adopting a fair approach to disabled drivers. That at least one McDonalds restaurant offers parking that they do not own or control. There must be more in the UK so take great care when you park at a McDonalds restaurant. Look out for, and heed, any parking restrictions. If you receive a parking fine and have a justified cause for complaint, always talk to the restaurant manager, but be courteous and polite. 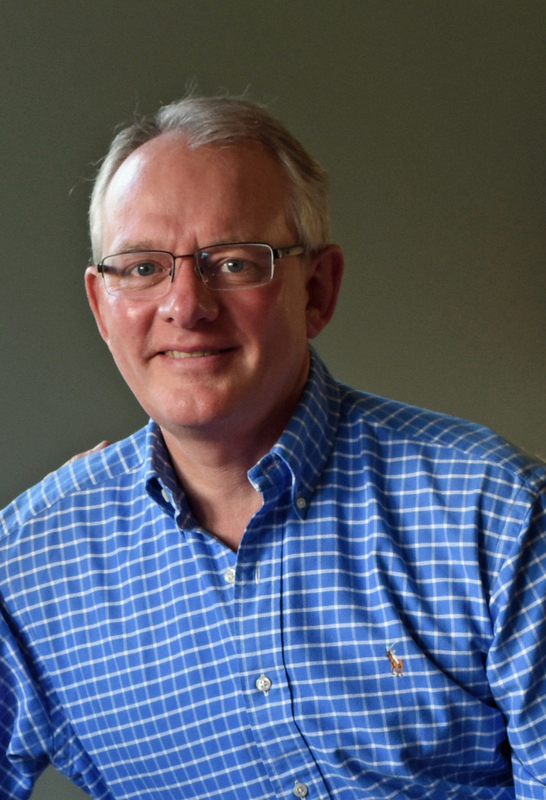 In my experience, they are willing to protect their brand reputation and to help if they can. If the restaurant has no control over the parking then you have to accept that there really is nothing that they can do and you have to take your grievence up with the parking management company who sent you the parking charge notice. 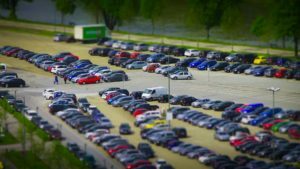 Car parking is a big, highly profitable, business. Remote camera technology, number plate recognition and legal access to the DVLA registration database allows this busines to thrive in a highly scaleable and profitable way. We, the motorist, are funding that business and may fall foul of their legal operations and restrictions quite by accident. This happens in many places such as retail parks, fast food restaurants, cinemas etc etc. Motorists are prey for the car parking hunters and it really feels like it! PLEASE ALWAYS LOOK FOR, AND OBEY, PARKING NOTICES WHEN PARKING YOUR CAR. YOU ARE THE PREY. I simply do not agree that there is nothing they can do. 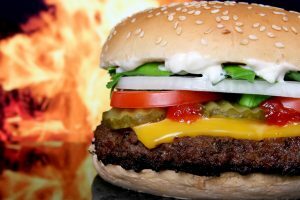 McDonalds could easily have a policy that they will not allow parking charges that cannot be over ruled by a manager on site even after the event. If you think of the size and power of McDonalds can you imagine if they told all their Landlords they were not going to endorse this policy otherwise they are not leasing that Landlords would stick out against it? The fact is McDonalds instigated this policy themselves to keep their car parks clear, which in itself is fair enough, but to have allowed a contract that they can have no influence over enforcing or not, shows they are culpable and shows what they really think of their customers. Thank you for your assistance in this matter, it has been gratefully appreciated. I have since been into to see the business manager at McDonalds and you are right she was very helpful and also suggested contacting Care Parking direct. I did also point out to them that there are no signs stating the two hour parking rule anywhere near the disabled parking bays which even they hadn’t noticed. I tried to contact Care Parking on Saturday but there was no answer so I will try and contact them again on Tuesday. Thank you for updating me on this. I think that you should have a strong chance of winning an appeal if there are no parking signs by the disabled parking bays. This is important information for other users of disabled parking bays. Thank you for mentioning it. Don’t forget POPLA, if you need to escalate your claim.